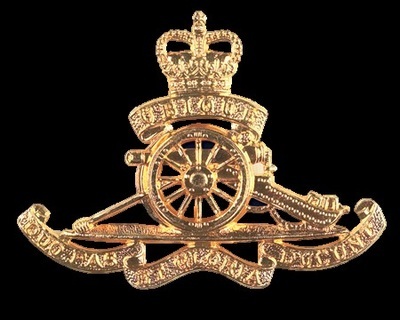 With the succession of Queen Elizabeth II to the throne, the design of the Royal Crown on hat badges was changed from the Tudor (King's) Crown to the Saint Edward (Queen's) Crown. It would be several years before the new patterns were adopted. 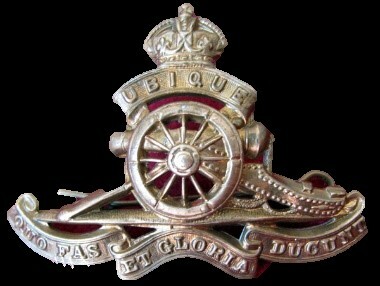 In the interim, new and old patterns of insignia were worn concurrently. 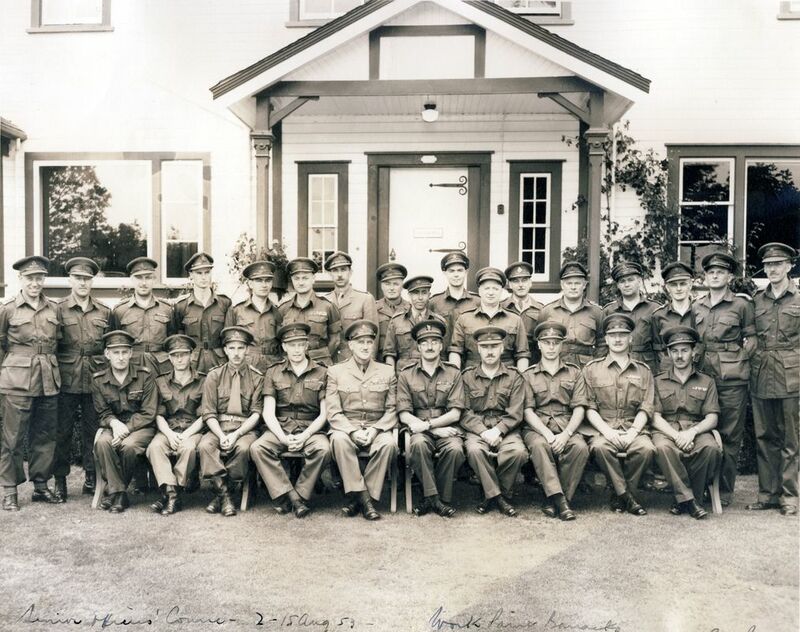 The Army Group Royal Artillery (AGRA) held a training weekend at Bessborough Armoury 28-29 November 1953 under the command of Colonel Theodore Dumoulin. 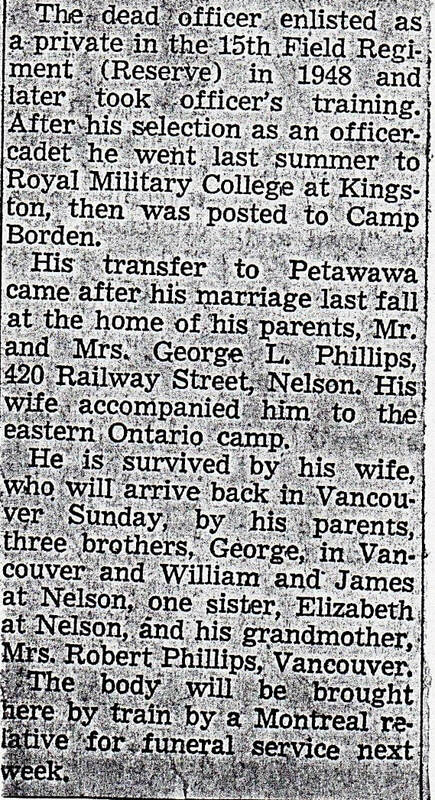 Lieutenant Richard Secord Phillips, a former member of 43rd Heavy Anti-Aircraft Regiment RCA and 15th Field Regiment RCA was killed in Petawawa, ON 19 February 1953, while serving with the 81st Field Regiment RCA. 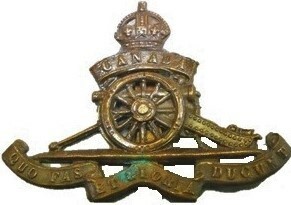 His death was caused by a premature 25 pounder artillery round. He leaves behind a wife, Anne Elizabeth Phillips and is interred at Mountain View Cemetery in Vancouver, BC.